It’s often done in the back of a VW Van. Listen, to what the Flower People say…. A poem in sepia color? 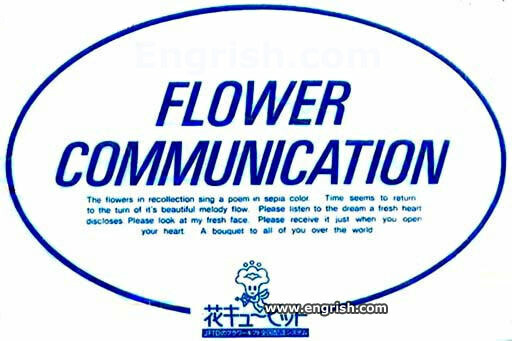 I would imagine that, given that it’s being told by flowers, the poem would be more colorful.